For the lovers of hiking, Chios is an island with the most spectacular scenic routes. There are entire maps that will help you find the paths that you want to follow to discover the natural beauty of the island as well as the inaccessible monuments of great historical interest. One of the most beautiful courses you can do is cross the gorge of Kambia. 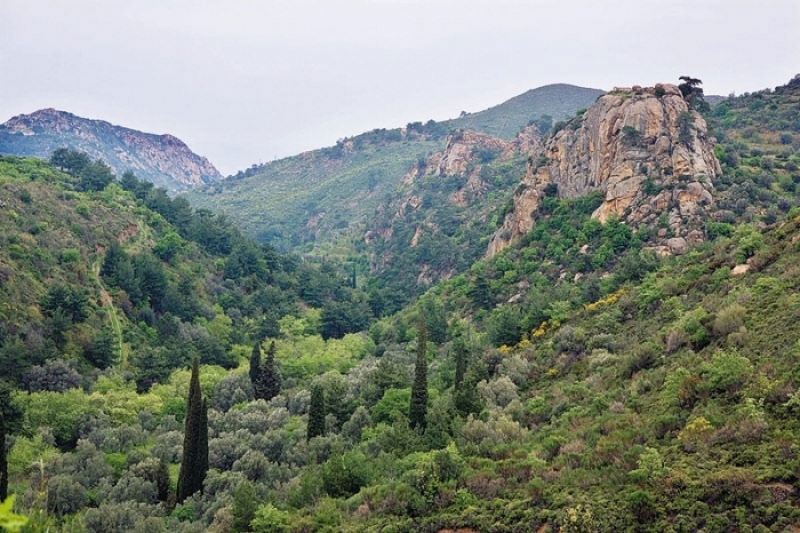 The lush canyon and the raging river are located in northern Chios near Mountain Pelineo. It is a trail of approximately 2.5 km and it lasts 1.5 hours to complete it. You can follow a path beside the river, which will lead you to pristine beach of Kambia, near the farmhouses and orchards with citrus. During your walk, you will have the opportunity to admire the medieval Castle of Oria and the church of Agia Paraskevi, which is perched on a meteor rock. You will also notice the rare bird species such as long-legged buzzard and Bonelli's eagle, because the gorge is the natural refuge and it is proposed by the Greek Ornithological Society, to be declared as a protected area. Paths of historic interest are the ones towards Nea Moni and the castle of Apolichnon in Central and South Chios respectively. To get to Nea Moni you will follow an old paved path of approximately 1050 meters which lasts 30-40 minutes. A rocky landscape with sparse vegetation will accompany you all the way until you reach the monastery of Nea Moni with the magnificent view of the coast of Asia Minor. The impressive castle of Apolichnon is perched the rock and in order to visit you should follow an uphill path through dense evergreen pines. You will need to travel a distance of about 1100 meters and 40 minutes. You can also cross the flat path that connects the villages of Mesta and Olympi. This is a 2 km path among the aromatic mastic trees and olive trees. There are other beautiful trails that you can follow, such as climbing to Kastro Grias and tour of the Kilada Malagioti. 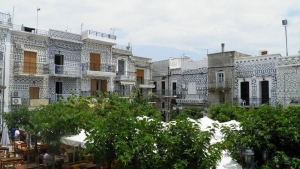 Last but not least, you can stroll through the famous Plain of the island with its beautiful citrus orchards, old mansions as well as the numerous Byzantine churches. Apart from hiking and climbing that you can do in some mountain areas, we suggest you explore the many natural caves of the island. Some of them are underwater and inaccessible and thus you will need to get equipped in order to be able to reach them. More generally, on the island you can find a wealth of facilities and special equipment to deal with sports. There are courts for almost every sport, gyms as well as swimming pool. The specified personnel available on the different beaches can teach you windsurfing, sailing and rowing. Finally, you can try snorkeling and scuba diving in the beautiful pristine seas of the island.